Did you know that there are a ton of creators on YouTube who earn well into the millions each year from their YouTube channels? There are! I know what you’re thinking, they’re probably pro filmmakers or photographers and really know what they’re doing. You’re wrong, though. Many of the popular YouTubers on the video network are amateurs at best… and that’s kinda the point. YouTube has a unique draw. It allows us to watch normal people just like you and I. You’d be amazed what people can accomplish with a smartphone camera and an internet connection. So, how can you cash in on this? Is it even possible? The answer is yes, it’s very possible. If you have the time, the determination and the work ethic, you can make money on YouTube, too. Once you’ve decided what your channel is about, you have to commit to a schedule you can handle - if there’s one thing that makes a good YouTube channel go stale, it’s inconsistent videos. Perhaps you only have time to make one video per month, so commit to that. Don’t worry about coming off as an amateur in your first videos - everyone does, even the very top YouTubers. Just grab your footage and use iMovie or some other free video editing software to refine your footage. Edit out all the pauses, “um”s, “ahh”s and “like”s. Keep in mind that the best performing videos are usually under ten minutes, and if you can get it under five, that’s even better. Make sure there is no dead air time - something must be happening or being said clearly and to-the-point at all times during your video. Do not drag things out. Before you upload your video, you want to apply for a Google Adsense account - this will enable you to get paid for the ads on your videos. You also want to set up a Patreon.com account. This is where future fans of your videos can pledge a certain amount per video or per month as a way to show their appreciation for what you do. Make sure you mention in your video that you have a Patreon account, and how your viewers can contribute. When you upload your video, you want to go into your channel settings and enable monetization. Connect your channel with your Adsense account and make sure that when you upload your first video, monetization is enabled for it. 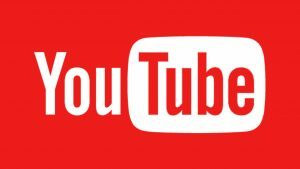 This will allow YouTube to place ads before your videos, as well as alongside them. Each time someone views an ad before your video or clicks on an ad from one of your videos, you make money. Surprisingly, it doesn’t take that many views before you start to see the pennies trickling in. The key: stick to your schedule. If you tell your audience you will post once per week, follow through with it. You will lose viewers forever if you can’t upload when you say you will. If you’ve made a concise video and packed a lot of info into a short period of time, and you stick to an upload schedule, you will grow your audience. For some channels, it’s slower than others, but so long as you stick to it, and try to make each video better than the last, you’re going to see growth. Eventually, when your channel has a big enough audience, you’re going to be invited to join some YouTube creator networks. Basically, these networks will take your channel under its wing, offer you all kinds of tools to help you promote your videos and in exchange they will ask for a percentage of your earnings. It’s important to research any network you are considering joining. Google is a great resource for that. In the meantime, you’ll likely be approached by advertisers who might want you to use one of their products in your video, or review it. They may send you samples or free stuff so you’ll mention them in a video. Make sure that any of these you take on, actually suit your videos and your audience. And that’s it! That’s how you make money on YouTube! It’s a lot of fun, but a lot of hard work, too. Editing video is time-consuming but if it’s something you enjoy, it could be an extra source of income for you. What are your favourite YouTube channels? Let us know in the comments!